When I was growing up, a woman could never leave the house without lipstick. Whether they were going out to dinner, to the grocery store, or having company over – lipstick, lipstick, lipstick. Over the past few years, as with other great things (hats, coin purses, bouffants), has fallen out of fashion. Sure, a bold red lip is great for a night out. But most of us smear on some Kiehl’s No.1 Lip Balm and call it a day. The WWKD team is completely guilty of this. You will find three different tubes of Kiehl’s in our purses, and not a single tube of lipstick. On a night out, you will find me rocking Tom Ford Violet Fatale lipstick – it is THE most amazing lipstick in the world – but you’ll never see it in the light of day. That being said, I was excited to try Kate’s choice of lipstick. She always has the perfect shade of neutral lipstick. It is never too bold and never too blah. Off I went to the Bobbi Brown counter to try out a lipstick I would probably never wear and never buy. Boy, was I wrong. 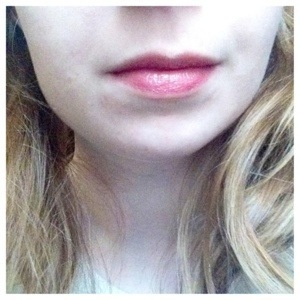 It turns out the “perfect lip shade” is your natural lip color on steroids. 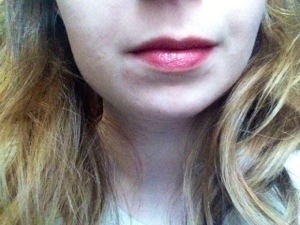 The color seemed to match my lips, and yet they looked so much better. Suddenly, my face looked finished. I looked so natural in the jeans and sweater I was wearing, but I could put on a ball gown and look equally as amazing. The reason Kate always looks together is because she is always wearing her “perfect lip shade.” It instantly makes you look more polished. There is only one downside – it doesn’t last more than an hour or two. But it is easy to swipe it on again and keep smiling! I went home with a tube of “Blondie Pink” and can’t believe how often I used it – out to dinner, at the grocery store, and when having company over. I love Bobbi Brown and have created a custom palette of my favourite eye shadow and blush shades but I have never tried a lip product of theirs. I am a “balm” girl too and cannot stand lip gloss. Too sticky and the feel of hair stuck on your lips is gross. That lip shade does look great on you. I wonder what shade Kate uses?